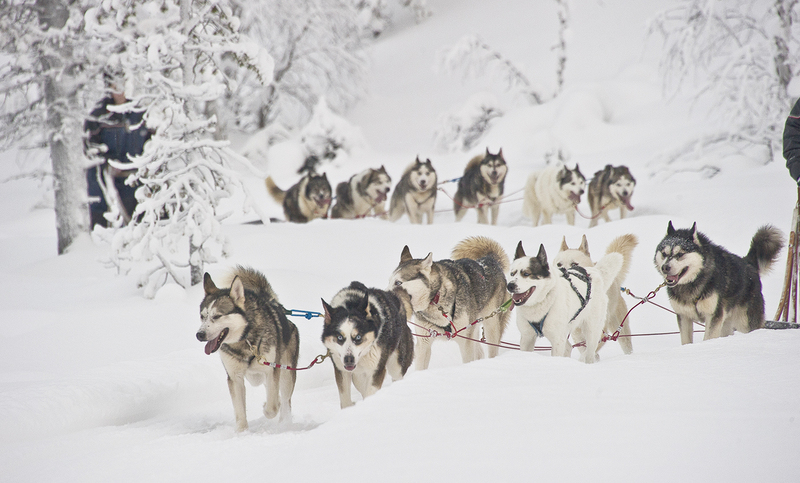 A husky-drawn sled ride is an unrivalled adventure! 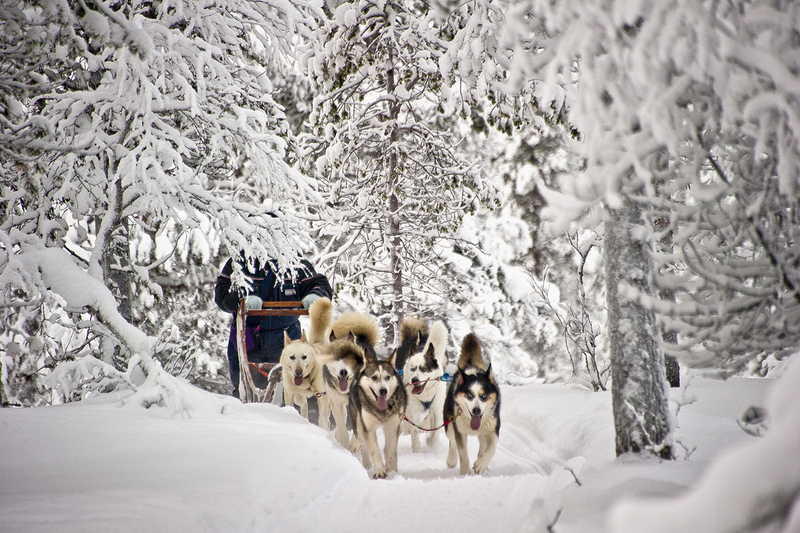 You get an opportunity to try driving a husky sled in the true Klondike spirit. After short drive of 10 min, the professional husky instructors will wish you welcome. sled, tucked up warm on reindeer hide. 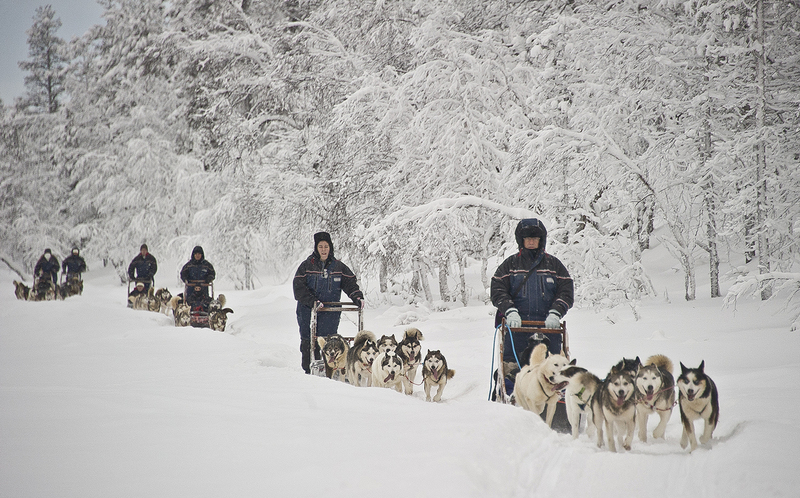 A dog sled ride is an enjoyable, action-packed experience. The whole trip will cover approximately 1 h driving (approx. 10 kilometres). Breaks will be taken during the trip to change drivers and take pictures. Finally, return to the husky farm to enjoy drinks and snacks by an open fire in an exotic, traditional Lappish wooden dwelling. 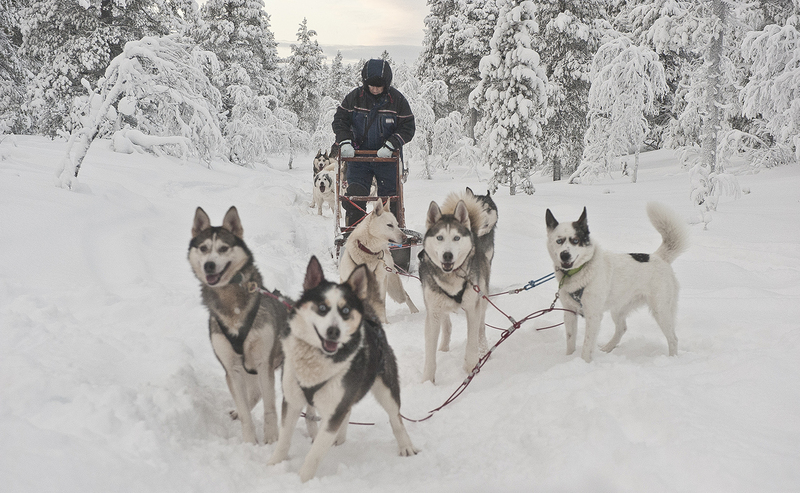 To finish the excursion, meet the farm’s husky puppies, say goodbye to our sled dogs and head back to Saariselkä and accommodation.